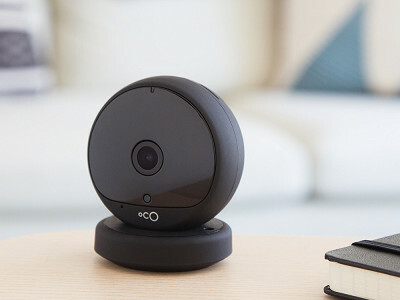 Oco is a WiFi video camera that provides live streaming footage of your home or office to your smart phone or tablet. Set up is a breeze, and once it’s running, Oco delivers high-quality HD footage. At 720p, it has enough definition to clearly show quick motion. Oco has smart sensors that work 24/7 to detect sound and motion. Once triggered, the camera records and sends you an alert. Tune in to watch the live feed. Or watch the recorded footage, which you can archive, too. Set up is simple. Once plugged in, just download the app and you’ll be able to receive your feed, on up to 16 different devices. This simple camera works especially well for renters, as it packs up and reinstalls easily. And if you have a pet, Oco has a two-way communication device to say hello to your furry friend from afar (though this feature is a little less effective with humans). Wherever you are, Oco will help you feel close to home. Hello everyone! I'm proud to present the Oco WiFi Camera to The Grommet. I'd be happy to answer any questions you have! This looks like a really neat device. After the one year free of cloud storage though, how much will it cost? @Laura Thanks for your interest. Currently we have several plans. The Basic plan is $39. This is exactly the same that you get for free. It includes shared private access to your cameras & we will keep sound and motion triggered footage from your camera in the Cloud for 1 day. @Nancy Hi Andrey! This is a very cool product. Is the cost per year or month? Thanks. @Nancy thank you for this comment. The price is per Year. Very Interesting. Can I mount this outside? Or is it only for indoor use? @gail You can use Oco outside. However the camera is not water proof. So if you will be able to mount it under a tent, so it's hidden from the rain, then there will be no problem. Does it have to be plugged into the computer to be "on" or does it work wirelessly? @Connie - I don't see the word wireless anywhere...I was going to ask the same question. It does say "once plugged in..." so it doesn't sound completely wireless. @Dawn @Connie @Christy The camera works with your Wi-Fi network. You don't need a computer at all. Just plug it into your power socket and connect with your smartphone. How does the power source work? @RONALD You should plug Oco into a power socket and that's it. Do you have any video showing how it performs at night with no lights on in the house?? @KENNETH you can see an example of the live demo in the video above. Below is a screenshot of the video at night when the lights in store are off and the night vision mode is working. What happens if the Wifi goes down? @Connie You will get immediate notification on your smartphone that the camera is not connected to the cloud. It looks like it gets it power from a micro USB, yes? Does it have any pan/tilt/zoom features? @Kyle Oco has a usb cord, but you can plug it into normal power socket. Regarding your second question, Oco has 4x zoom. Is this only for Iphones or is there a app for Androids ?? @Dennis We have app for iPhone, iPad and Android. In addition you can use your web browser. What security measures are there to keep others from seeing video feed? @Madeline Now that is a good question and I am eager to read the response. Thank you for asking, that issue would never have occurred to me but it certainly is a realistic concern. @Christina @Madeline Security is our top priority. All data — including video feeds — is encrypted. If you keep your account details safe, then you don't need to worry. Will the camera and wireless system function in cold temperatures? @Madeline thank you, this is a very good question. @Gail you might need this information as well if you would like to use Oco outside. Operating temperature for the camera is 14ºF ~ 122ºF / -10°C ~ +50°C, Operating humidity ~ 15-85%. Can I use more than one at my home? Are they each separate feeds or will they sync together? @Rich You can use several cameras and connect them to one app. In the app you can switch between the cameras. But they will be all working at the same time. How is Oco different from Dropcom, another wifi camera? (3) We are easy to set up and use. You don't need a computer. Just smartphone and less then 60 seconds of your time. (4) We are affordable. Today you can get Oco with one year of cloud recording just for $149. Dropcam with cloud recording will cost you $298. 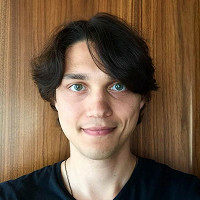 @Andrey What is the Cloud storage fee after the first year of the Oco purchase? Hi Yuko, it is $39/year for the basic plan! If wireless, then needs batteries? After setup on wired or wireless Wi-fi, will it work without? what component places the call on what network? Thanks! @Conrad You need to plug Oco into power socket. It doesn't have batteries. But you don't need a cord to connect to the internet. It can use your WiFi network. Please let me know if you have any more questions. Thank you! Sounds like a product already on the market - DropCam (Neat). What are the differences and is it designed to work outside?. Lastly, can it be used on a MAC to record? @Alexander thank you for your questions. Regarding our advantages and outside usage - please read my answers above. As for cloud recording. You can install the app on your iOS or Android smartphones. Or you can use web browser on your PC or Mac. Got an old iPod or iPad. Look at the Presence app. I have it set up in USA and watch it from Canada. I'd like to know exactly what I would need to set this up in my parent's home as we're attempting to put it up for sale. Would I have to have internet access set up at my parent's home to monitor it from out of state? @AnnMarie You need a working power socket and wifi network with internet connection. Oco has night vision - so you will be able to see in the dark as well. Is that $149 USD per camera? Hi Beth, that it is! A Benjamin, two Jacksons, a Lincoln and a quartet of Washingtons each! Can more than 1 phone be registered to a single camera? @Michelle Yes, if you have a cloud recording plan. The Basic plan is free and you can share private access to your camera with up to 4 other users. We have plans for 8 and 16 users as well. Once the recorded footage is captured. Can it be saved offline? (example: provided to authorities). @Michelle yes, you can download them while they are in the cloud. I don't see the app in the iTunes store. What should I be looking for? Also, can more than 1 camera be viewed at a time? If I don't desire cloud storage, can I still use the camera to see "live" video? As previously observed, the camera looks very similar to Dropcam but at a more attractive (read: lower) price point. Well done, if it performs as well. @Charles thank you for your questions. Oco’s Cloud Recording is powered by the iVideon App. With more than 1,000,000 users around the world, iVideon is the leading solution for video surveillance. If you don't need a cloud storage you can still use the camera and see "live" video. And you can connect several cameras to one app. Our home is 150' long. My computer and wifi are in one end and I would like to place your camera 75' from my computer. Is this possible? @Johnny thank you for your question. It is hard to say without knowing you WiFi router's characteristics. But I assume it should work in the radius of 75'. As for computer - you don't need it to use Oco camera. Just be sure that there is a power socket around so that you can plug Oco in it. @Andrey In a previous answer you stated that the home should be kept at a constant 85 degrees. I don't know anyone who keeps their house that warm. Was that a misprint? @Mary thanks for your question. I've said that temperature should be not lower than 14ºF and no higher than 122ºF. Humidity should be not lower than 15% and not higher than 85%. Can you download the video from the cloud before it's erased, if you don't have the yearly storage plan? @Angie We have 1 day, 7 days and 30 days plans. You can download the video while it is in the Cloud. @nancy that's a really good point. Our smart notification is the best way to know if anything happens while you are not home. When Oco detects sound and/or movement it starts an event recording and sends you an alert. The recording is immediately saved to the cloud. So in the worst scenario, if someone unexpected enters the home and sees the camera with the memory card - they can always erase or destroy the recording. But they can't do this with the Oco Cloud. What's the distance at which Oco detects movement and begins recording? Hi Jim, Oco will always be recording, you'll just get a notification if there is motion. However, video will not save to the cloud if there is no motion. I'll let Andrey chime in with info about distances for detecting motion and thus the notification. @Mike @Jim When something appears in the picture - you will get a notification. You can set sensitivity and you even can outline the part of the picture that should be monitored. For example I use Oco as baby monitor. I don't want to get notifications when something moves in my baby's room. But I want to get notification when she wakes up. So I've set up Oco to see the whole room, but I've outlined only the crib for smart notification. Now I can see everything that happens around the crib but I will be notified only when she starts moving in the crib. Hope this example explains you how it works. Oco sounds great. The description mentions an alert when it detects motion. How soon will I receive the alert? I know some other alarm products may not notify you for up to 15 minutes. Stay tuned, Barbara! Andrey will be on shortly to answer this! @Mike @Barbara It depends on your internet connection speed. I have a standard Verizon FiOS and it take less than a minute. You don't need any high speed internet for that. Hi Nancy, Andrey can correct me if I'm wrong, but I don't believe there is an SB storage slot. Being out of town shouldn't be an issue for the cloud, unless you are away from your phone/tablet/laptop to access it. @Mike @Nancy just answered you above. Please let me know if you have any more questions. I am wanting to get a couple to keep an eye on my elderly mother. I have to be at work before the caregiver arrives. Sometimes she wakes up before the caregiver arrives. I work 10-15 min away. As soon as the cam detects movement, how quickly am I alerted on my phone for me to view? @linda As I've mentioned above it depends on internet connection speed. From my experience it is around a minute. looks like you are using the same lens and or manufacturer as the iLuv mySight? @Shane it might be that this brand uses the same manufacturer, but I can't comment on the quality or specification as they can be different. Kristopher-Audrey is there an on off switch when I am home or do you simply unplug it from the wall? I have a Blackberry Z10 will this work with the Blackberry. @Pamela Currently we support iOS and Android devices. I know that there is a way to run Android apps on BlackBerry devices, but I can't guarantee stable work. @Pamela Yes, Oco will monitor everything if you are gone. It works as long as it is plugged into power socket and has WiFi connection. If the WiFi goes down, or the camera turns off for some reason (for example no electricity in the building), you will get a notification on your smartphone. Andrey, This seems exactly like another product I have tried and disliked, the Iris home security system sold by Lowe's. Albeit this is only a camera and the Iris is an entire home security/control system, the technology seems identical. Possibly the Oco has a far superior graphics than the Iris system. Are you familiar with the Iris system? If so, what is the difference besides quality of picture and it only being a camera? (Lowe's camera ~ $120 and the necessary hub ~ $100.) Same deal with the cloud storage, live feed, etc. Iris was a bit buggy with slow notifications of activations/alarms (sometimes hours later). @Mike We are definitely easier to use and set up compared to security systems that need you to buy additional hubs, etc. It also looks like we have a better price - you get free cloud recording and a camera just for $149. Our notifications can be triggered by motion and you can choose specific zone that should be monitored. I don't know about the speed of this system, but I can just say that our camera works really quick and Ivideon Cloud Recording is a state of art technology trusted by more than 500.000 users worldwide. 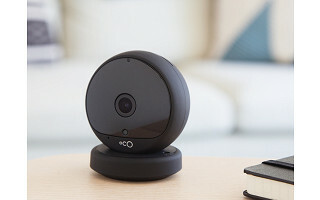 Oco is a WiFi video camera that provides live streaming footage of your home or office to your smart phone or tablet. Set up is a breeze, and once it’s running, Oco delivers high-quality HD footage. At 720p, it has enough definition to clearly show quick motion. Oco has smart sensors that work 24/7 to detect sound and motion. Once triggered, the camera records and sends you an alert. Tune in to watch the live feed. Or watch the recorded footage, which you can archive, too. Set up is simple. Once plugged in, just download the app and you’ll be able to receive your feed, on up to 16 different devices. This simple camera works especially well for renters, as it packs up and reinstalls easily. And if you have a pet, Oco has a two-way communication device to say hello to your furry friend from afar (though this feature is a little less effective with humans).